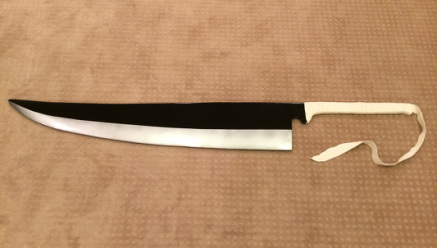 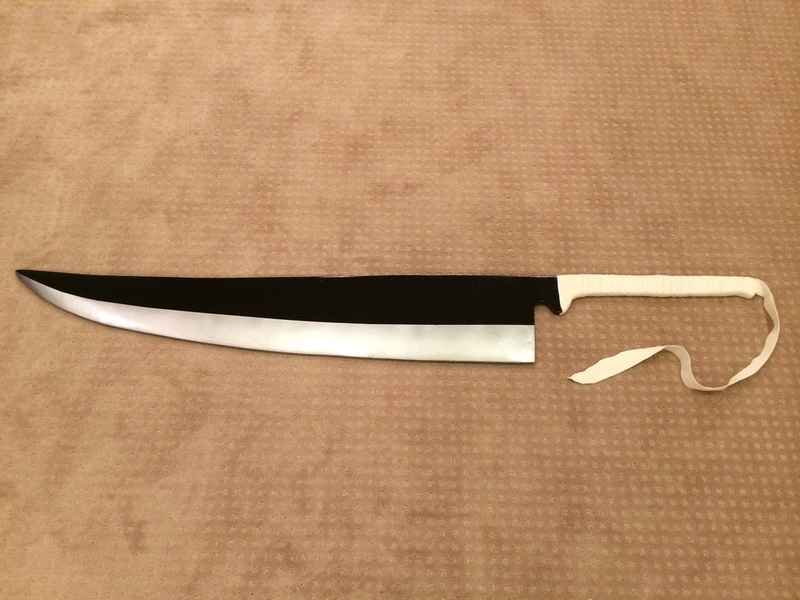 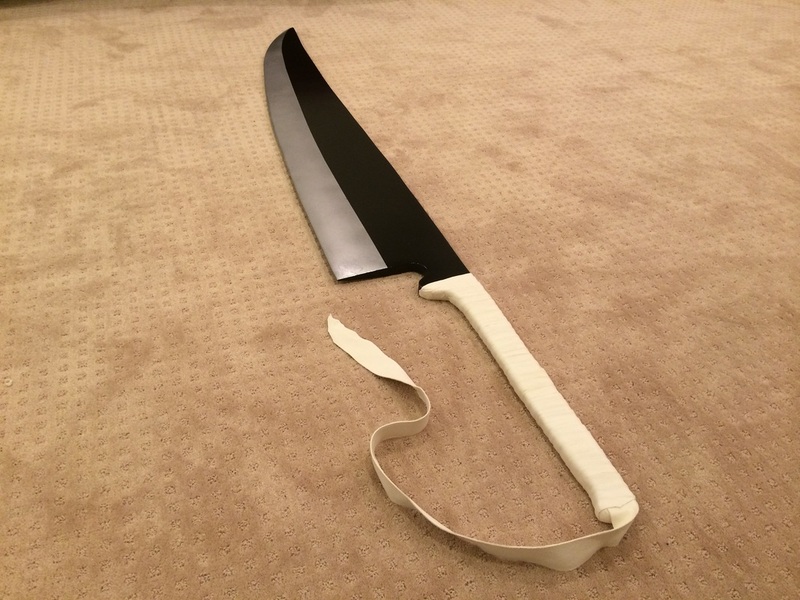 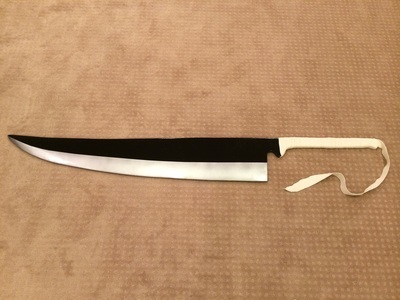 Fun Fact: This prop is a full 6 feet long and nearly 9 inches at it's widest point! With his blazing orange hair and unique (and giant) sword, Ichigo Kurosaki comes from Tite Kubo’s manga Bleach, one of the most popular manga series ever published. 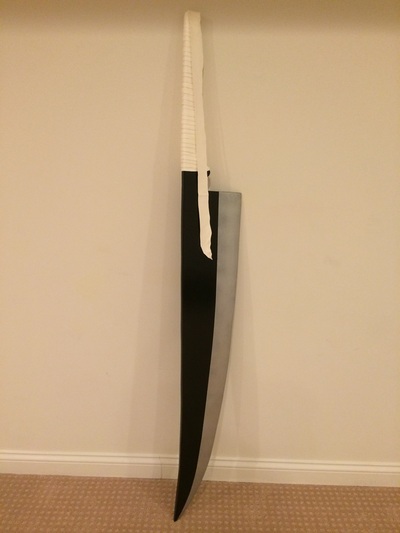 Ichigo utilizes his giant sword, a zanpakuto (a shinigami/death god’s katana), named Zangetsu, to defend his friends as well as other people and spirits in both the real world and the spirit world of Soul Society. 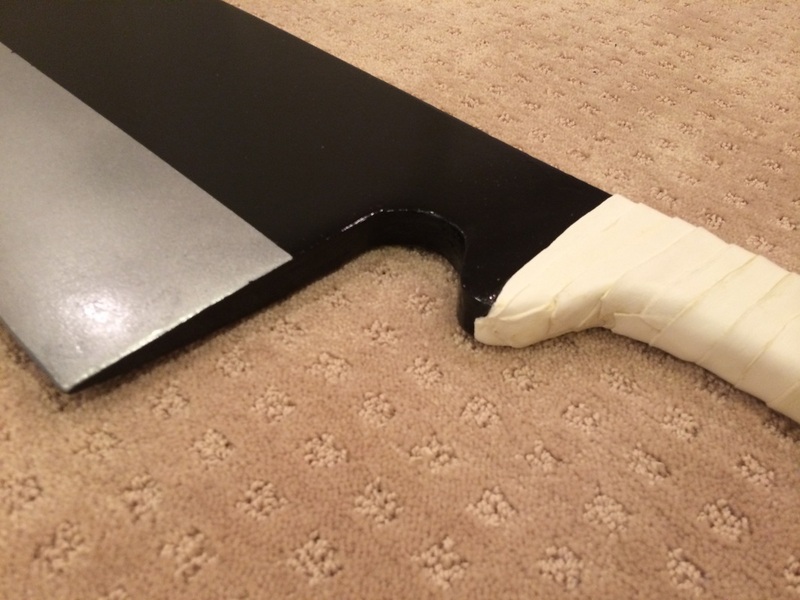 While this was a simple prop, I learned a lot about how to use a band saw as well as how to utilize urethane resin for purposes other than casting copies of things. 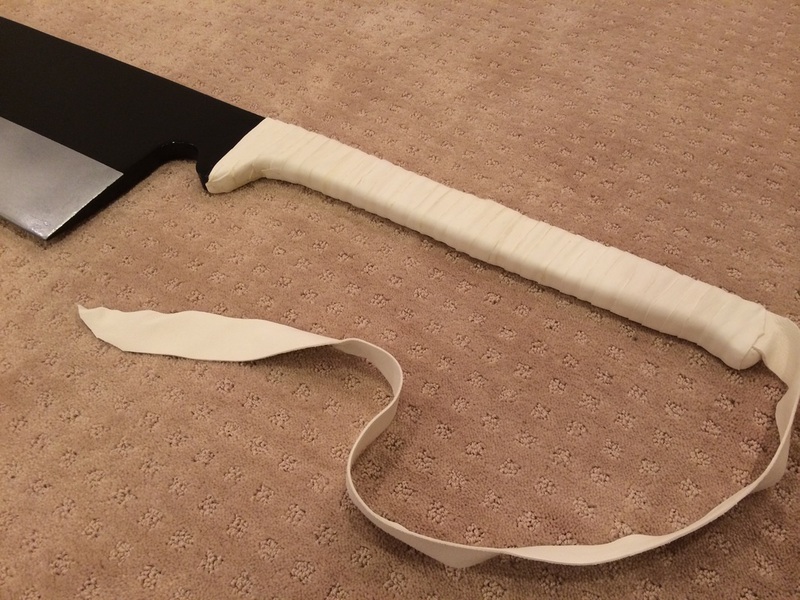 I also learned how to use leather to achieve the final look that I was aiming for. 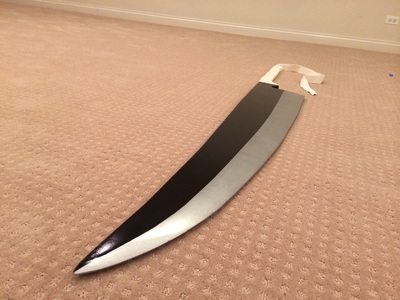 I can’t wait to cosplay as Ichigo (costume to come)! To view a complete build write-up with pictures and detailed writing, click here! Kimer Props | Where Dreams Take Flight!